On March 17, 2015, the California State Water Resources Board voted to extend and expand the water use restrictions put in place last year in response to the drought. For those who escaped restrictions last year, this means limiting your irrigation to two days a week; for those who already have restrictions, they will remain the same unless your water provider indicates otherwise. However you may feel about these restrictions, the water situation is indeed dire; but every use of the word drought implies a lack thereof, a time when water is plentiful. This short-term thinking encourages temporary solutions, preventing the physical and mental adjustment to a new paradigm in which water is treated as a finite resource to be used judiciously and conscientiously. This shift in thinking can be applied directly at home, especially in the garden where traditional landscapes account for over 50% of residential water use. A major obstacle can be visualizing what this might look like; here in San Joaquin County we suffer from a dearth of water-wise plants in nurseries, public places, and our neighbors' yards. This can lead to the assumption that it's only possible to save water in the landscape by planting succulents, fake turf, or paving over everything. None of these options benefits wildlife, which suffer when their food and habitat are removed. I am happy to report that the new paradigm is all about colors, layers, and textures in a palate that is firmly Mediterranean. Before choosing succulents or concrete, try visiting a Water Efficient Landscape, also known as “WEL” gardens. There are several in the Sacramento region to help you dislodge the flat, green lawn aesthetic firmly entrenched in our minds. A WEL garden demonstrates the myriad possiblities of plants that address our need to conserve water and wildlife; plants are marked with tags, and some WEL gardens have a website with a plant species list. Located along the Putah Creek canal on the UC Davis campus, the arboretum is considered the main source for horticultural wisdom in the Central Valley. Their plants are suitable to our hot, dry climate, and many have low maintenance requirements. Their collection of 22,000 plant species are divided into 17 collections by place of origin, mostly parts of California and other places with a similar climate. Admission is free; it is open to the public year-round. A rain garden is a shallow depression in the landscape designed to catch and filter storm water runoff to enhance plant growth, enrich the soil, and recharge the local water table. 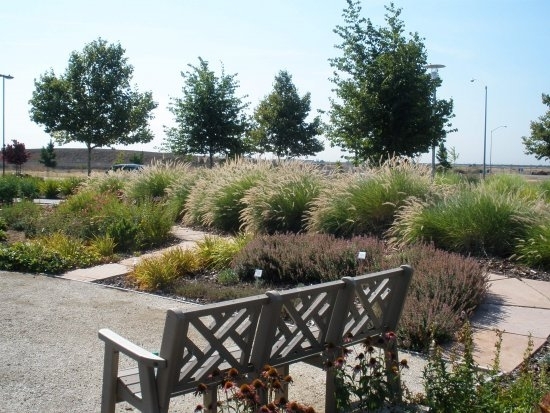 The Elk Grove Rain Garden features plants for our region that can take seasonal flooding, and reduced water in the summer. It is also a public gathering place, with artwork by local schoolchildren, and a covered sitting area for picnics. It is open to the public year-round. No admission fee. Master Gardener demonstration gardens utilize both edibles and water-wise ornamentals. Monthly workshops are held at the Fair Oaks Horticulture Center where you can learn about specific topics and ask a Master Gardener about plants you see in the garden. 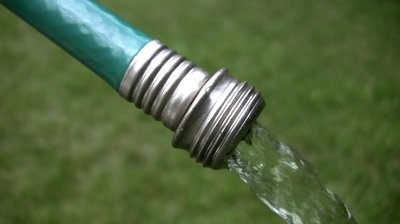 A list of water-wise species at the Fair Oaks garden is available here. Choosing a group of smaller demonstration gardens to visit makes a nice day trip to research your future landscape. More WEL gardens in the Sacramento area are listed on EcoLandscape California's website.